Birthday Bash Event! Doodle Roll Review & Giveaway! 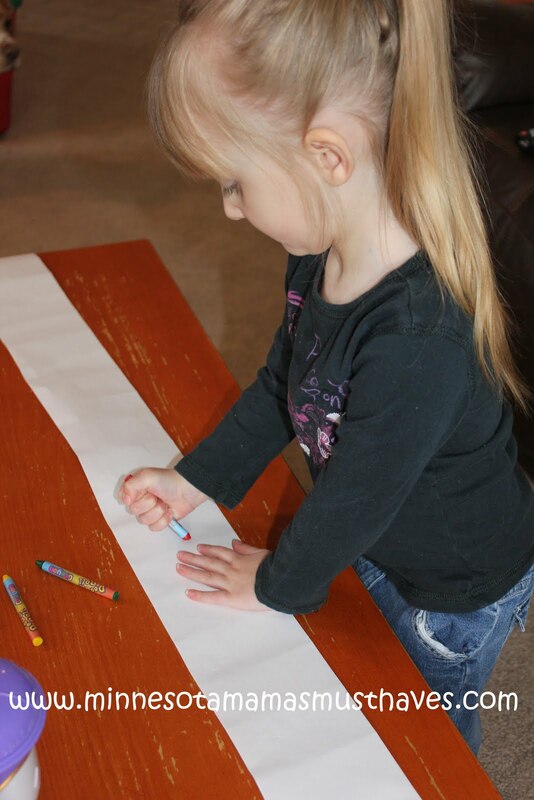 Danika LOVES coloring and this new product called the Doodle Roll is perfect for coloring at home or on the go. It seems she is always looking for something to color on and the Doodle Roll is easy to transport and offers tons of coloring space for your budding little artist. Doodle Roll was designed for children 3 to 8 years old to stimulate creative play anywhere and anytime. The all-in-one kit offers 15’ or 30’ of rolled paper with 4 or 8 crayons included. The E-Z tear edge makes this the ideal kit to tote in the car, to a restaurant, at the doctor’s office or anytime kids can daydream. Although you can dispense the paper from the case and keep it neat Danika prefers to roll it all out and color until her heart is content 🙂 Aiden loves this paper too. We take it with on road trips and it is perfect for when we go out to eat and need to entertain the kids. This is a great addition to any child’s Birthday gift! 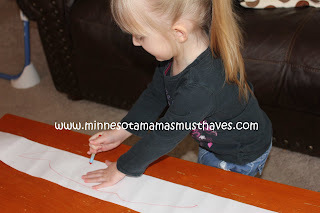 Why we love it: Doodle Roll is great for at home or on the go. It is perfect for every kiddo that loves to color. I love that it includes crayons and a dispensing case. Suggestions for improvement: I’d love an even longer Doodle Roll as Danika colors up a storm! Buy It! You can buy the Doodle Roll starting at $3.99 at retailers near you and coming online on their site soon! Win! 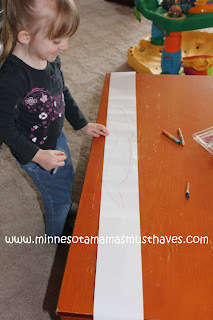 One reader will win the 4” & 6″ Doodle Rolls! Visit Doodle Roll and tell me which Doodle character is your favorite. Open to US only. Giveaway ends May 23rd at 11:59pm. Winner will be drawn by random.org and announced on this blog as well as emailed. Products reviewed were provided to me free of charge. No compensation was given in exchange for this review. My opinion is my own and is an honest view of my experience with the product. Winner will have 48 hours to respond or a new winner will be drawn. Email address must be in at least one comment or visible on your profile to win. Good Luck! « Toddler Tuesday! Kids Can Sleep Anywhere! My favorite is Goonhilda. Thanks. kevin is cute…love his legs! I entered Burt Bees Gift Pack!